Heading towards the Trudeau government’s first budget, former Parliamentary Budget Officer Kevin Page thinks it’s possible new Finance Minister Bill Morneau could have a few accounting tricks up his sleeve. 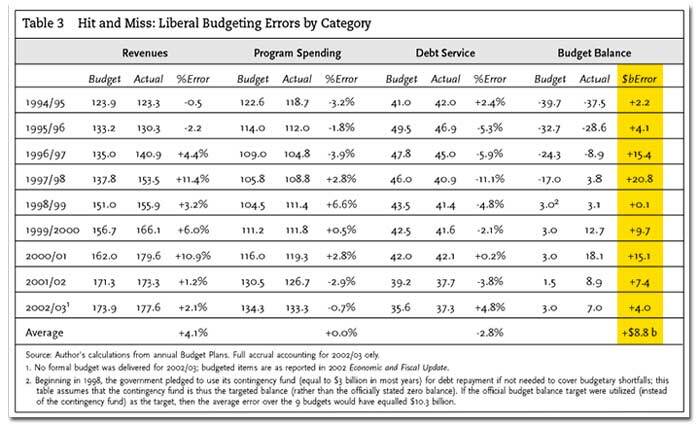 Noting there are “some holes” in a recently released deficit projection, namely “forecast adjustments of $40 billion that are not explained,” Page wondered if the government fudging the numbers to give the Liberals “some room so they can come in a little better than expected”? One thing’s for certain – it wouldn’t be the first time a Canadian finance minister led Canadians through a house of mirrors when it comes to the real state of the country’s finances. 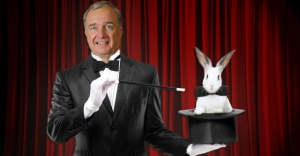 One of former Finance Minister (and later Prime Minister) Paul Martin’s signature tricks was to set expectations low so he could later exceed them. Former Finance Minister Joe Oliver may have borrowed a page from Martin’s book of magic when he made the deficit disappear last year. Although Canada started off 2015 looking like it was going in the red again, Oliver made the deficit vanish into thin air by raiding $1.8 billion from the federal government’s Employment Insurance fund, another $2 billion from the government’s emergency contingency fund and selling off the government’s shares in General Motors (at a $3.5 billion net-loss). All of a sudden, the government had a magical $1.4 billion surplus and the deficit had disappeared! …That is until the slumping economy caused a $1 billion deficit to reappear a few months later, thanks to the slumping economy. Why take credit for a government initiative once when you can announce it again and take credit a second time? That’s a trick the Conservatives pulled in their final pre-election budget last year, announcing billions for “new” infrastructure projects, even though they had actually announced funding years earlier. But in reality, the money Moore was talking about had actually been announced two years earlier in the government’s 2013 budget. Here’s another thing to keep your eye on. Sometimes Finance Ministers say they’re spending money on one thing, but actually spend it on something that maybe wasn’t quite what you had in mind. Former Justice Minister Peter MacKay announced $25,500 to fix the “perimeter tile drainage” and do “renovations to the locker room area” at a Nova Scotia curling club, for example. 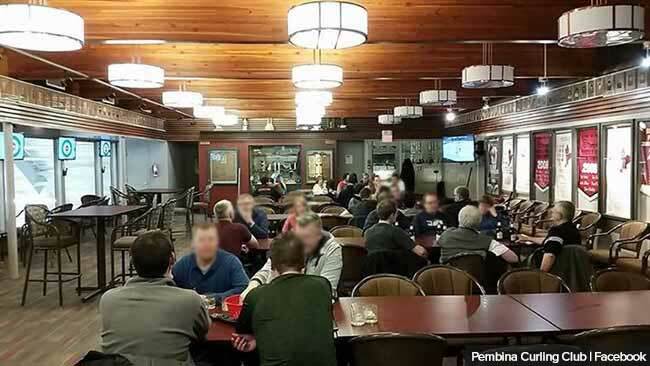 And former Conservative MP Joyce Bateman announced $150,000 to “renovate the kitchen at the Pembina Curling Club.” That was on top of $50,150 to “support improved lighting, wall restorations, and the installation of a new carpet” in the “lounge facilities” of the same curling club two years earlier in 2013. Photo: Acid Latte. Used under Creative Commons license. PMO. Shutterstock. Are the Liberals planning to flip flop on their promise to close a big tax loophole for the rich? 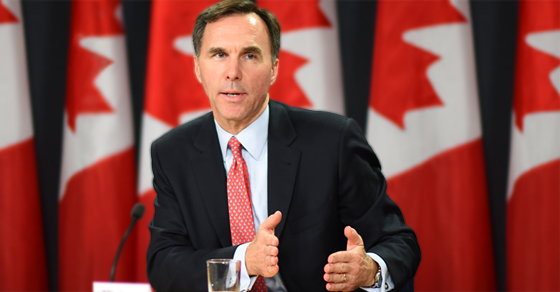 Finance Minister Bill Morneau avoided multiple questions Tuesday about whether he's backing away from a promise to close the stock option loophole. Pop your champagne, wealthy CEOs! Another Liberal flip flop could be on the way! Finance Minister Bill Morneau avoided multiple questions during Question Period Tuesday about whether or not the Liberal government is planning to back away from a campaign promise to close the stock option loophole.